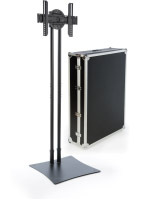 Online Monitor Stands For Sale with 22" LCD TV Mounts Tilt for Easy Viewing! These Monitor Stands are Black Metal Mounts that Securely and Safely Fasten Your Flat Screen TV! Order In-Stock Television Stands by 1pm EST for Same-Day Shipping! 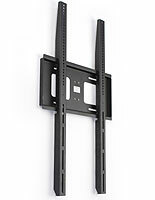 TV Size Range: 10" - 24"
These monitor stands have tilting brackets for angling televisions up and down. 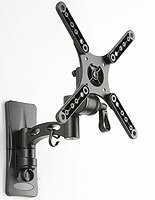 You can adjust your plasma or LCD TV up 5° or down 10°. LCD brackets, monitor stands also permit you to pan your television left and right to create the optimum viewing experience. All of these movements can be done simply by tilting your mount without tools. 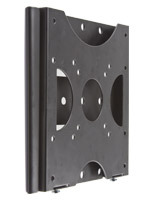 Monitor stands, or plasma TV brackets, have a black finish that matches every environment. These monitor stands for 22" flat screen TVs include the necessary hardware to mount your bracket to wood studs and solid concrete walls. If you have any questions regarding installation, we strongly suggest you consult a professional. 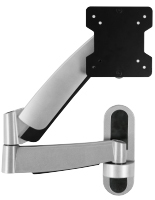 Monitor stands, wall brackets, and plasma mounts can support 10" to 24" televisions that weigh up to 33 lbs. 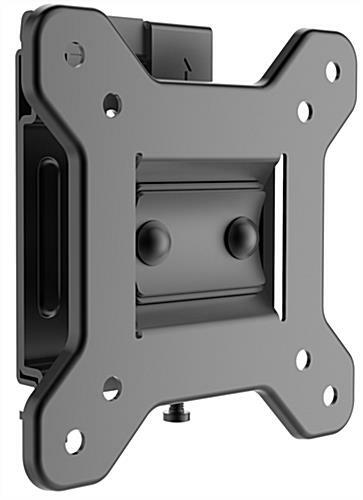 These mounts are VESA compatible for 75mm x 75mm and 100mm x 100mm, making them compatible with virtually every TV brand including LG, NEC, and Vizio.. Monitor stands are delivered with a variety of screws to attach your television to the mount; however, some may need certain screws that can be bought at your local hardware store. 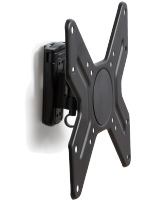 The monitor stand protrudes from the wall only 2-1/2" (without TV), making this a great mount for any use. 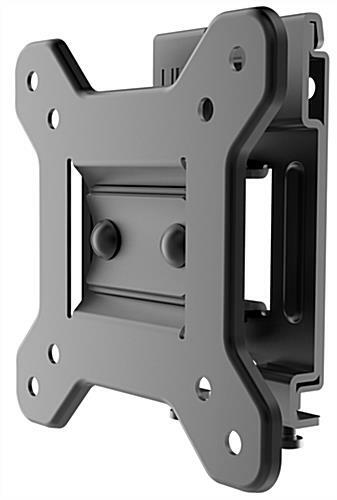 We provide these monitor stands with instructions for attaching your monitor to the mount. These online monitor stands for sale with 22" LCD TV mounts are the ideal choice for home or business! 4.8" x 4.8" x 2.5"